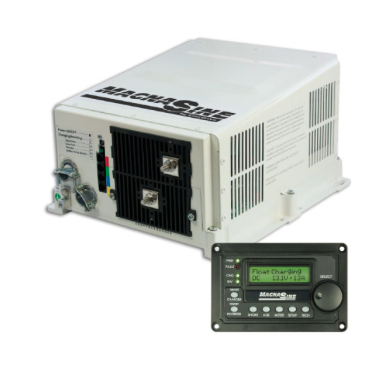 The Magnasine by Enerdrive products are designed and produced in the USA utilizing a tried and proven robust design platform, by a leading manufacturer of premium inverter/chargers for Mobile and Renewable Energy applications. With more than 70 years of combined inverter manufacturing and design experience, which has resulted in the MagnaSine by Enerdrive range being one of the industry’s most reliable and advanced inverter/chargers. Simply connect the inverter’s output to your distribution circuits or electrical panel, connect your shore power cable (AC) to the inverter’s easy-to-reach terminal block, connect the batteries, and switch on the power. The ME-RC remote control allows you to monitor and customize the operating parameters to your MagnaSine inverter/charger. The ME-RC50 comes standard with a 50 foot, 4-conductor (twisted-pair) telephone cable and includes non-volatile memory (preserves adjustable settings, even if power to the remote or inverter is removed). The MagnaSine remote control has all of the programming and operation functions included in an easy-to-use package.